Thursday afternoon Kevyn Orr, the emergency manager of Detroit, filed in Federal for Chapter Nine bankruptcy protection. Orr did so operating under the authority granted to him by Governor Rick Snyder. Under current state law the emergency manager has sweeping powers to restructure contracts and government services. The EM also has the authority to file for bankruptcy protection. It may be unpopular and even unfair, but few are surprised by this turn of events. The future of Detroit, one of America’s great cities, is uncertain. The future is uncertain, but I remain hopeful that in the end Detroit will experience resurrection. 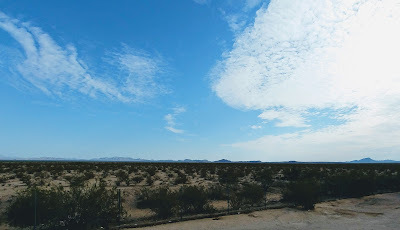 I write this post from the perspective of the neighbor. I’m not a Detroiter. Although I go into the city fairly regularly, I live in the suburbs. 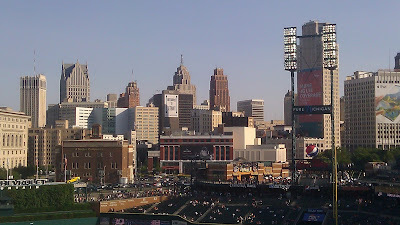 I go to watch baseball games, take in concerts, and enjoy other aspects of Detroit’s cultural life. But I always return home to the relative affluence of my suburban community. My involvement with Detroit does go beyond its cultural life. I’m involved with several ministries that are rooted in Detroit, ministries that in their own way seek to build bridges between the city and those who live outside its boundaries. Although I’ve not lived long in the area – just five years – I have come to believe that city and suburb need each other. One of the reasons why I’ve thought a lot about this is that the church I pastor once lived on Woodward Avenue in Detroit. We were once one of the churches that existed along what was then known as Piety Row. Like many predominantly white churches in Detroit, Central Woodward Christian Church, moved to the suburbs. The church stayed well into the 1970s, but with a membership living largely in the suburbs and with a cathedral-like building it could no longer maintain, the leadership decided it was time for a fresh start. I’ve never lived or served the church as pastor in the city of Detroit, but there is a connection that draws my heart and my prayers. Like many inside and outside the city, I’m concerned about the city’s future. I know that its debt is overwhelming. Successive governments made promises that it no longer has assets to fulfill. Its tax-base has grown ever smaller, even as the land mass that makes up the city has remained the same as it did when 1.6 million people made Detroit their home. Bankruptcy suggests that things have come to a tipping point, but with the bad news there is also good news. There are signs of hope – green shoots of investment and blight removal. Jobs are returning, at least to some areas of the city. And yet, the city still stands on the edge. From my reading and my conversations, I’ve learned that city and suburb have long lived as if the other didn’t exist. One side of the line is predominantly African American, and the other predominantly Caucasian – (though the suburbs are becoming much more diverse in recent decades). What I’ve learned is that city and suburb can’t survive any longer as if the other doesn’t exist. We are in this together. If Detroit and the metro area are to survive we’ll have to work together. With this in mind consider the discussion over a Regional Transit Authority. This discussion has given us the opportunity to explore the urban/suburban relationship. We are one of the few major cities without a functioning transit system linking suburb and city. If we’re to grow, we’ll need to build this transportation network. If you think that the suburbs can survive without the city, let me point to a helpful analogy that is apropos to this region. Remember how Ford Motor Company got a lot of good press because it didn’t take or need Federal support, unlike GM and Chrysler? It helped Ford’s sales, but Ford supported the help given to its competitors because they knew that if GM and Chrysler went under, they likely would follow suit. You see, they share suppliers. If the other two companies went under, the suppliers likely would as well, and Ford would have been in trouble. Fortunately, that’s not the way it turned out. You may not live in the city of Detroit, but if you live in its suburbs, or elsewhere in the state, it’s important to note that everyone benefits from a strong Detroit. I will admit to be conflicted about the Emergency Manager Law. I’m conflicted because I can see that the citizens of Detroit have lost a lot of self-determination. I understand the concern felt by those in danger of losing pension benefits. The way forward is going to be difficult, and I can only try to understand the concerns of those involved. But, I’m fairly certain that bankruptcy will proceed. Therefore, I will pray that a good outcome will emerge for Detroit. I hope you will join me in praying for our neighbors in Detroit. As Jesus reminds us, God has called on us to do two things – love God and love our neighbor. Let us do both by doing what we can to help our neighbors in Detroit regain their self-determination, along with a new future free from an overwhelming financial debt. Yes, let us pray for good things to come upon the people of the city of Detroit. Risen Lord! Shall yet the city be the city of despair?